Now its time to explore your computer. In this tutorial we goona tell you how to make your computer welcome you whenever you turned it on. 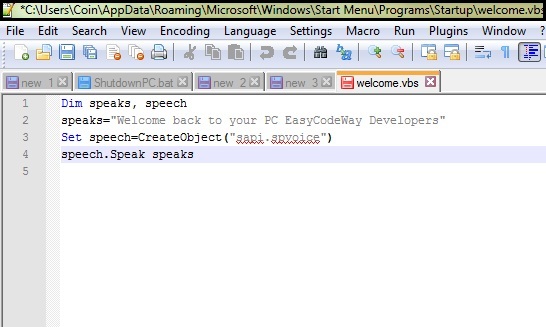 This trick Make use of simple vbs language. Now the question is, What is vbs language and how it will help us to achieve this task. VBS stands for Visual Basic Scripting. Its a computer language developed by Microsoft in 1996. This works on windows platform. The file extension type for vbs programs is “.vbs”. VBS Programs can be easily programmed in notepad. 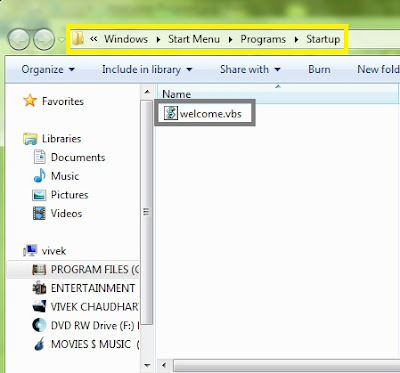 In this tutorial, We will create a vbs file having welcome note in it. This can be done with the help of simple vbs commands. Now our next task will be, how to make it work whenever we open our computer. Its Sounds Quite Hard But actually very simple. The only thing We have to do is to copy paste our vbs file in startup folder. Whenever a computer boot up, it look for files under startup folder and open them if anyone found. Same thing we goona do for this trick. When we copy our vbs file in startup folder and open computer for next time, your computer will automatically call it without any permission, As a result of file execution, you compuer will welcome you. 1. Look for Notepad in your computer and open it. 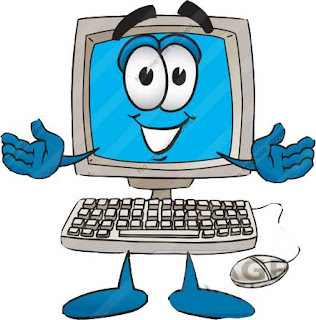 speaks=" Welcome back to your PC EasyCodeWay Developers "
5. Name your program as “welcome.vbs”, Make sure you have typed “.vbs” after file name, Otherwise your program will not work. 6. Save your program on desktop. 7. Now open vbs file that you had created and have a look whether its working or not. I think you will be amazed to hear your computer voice. Replace “yourPCname” with your Computer Name. Ohk now the problem is , every user had named it computer with different names and many of them don’t know what it is.. So lets find out what is It. Just go to “C:\Users” and their you will find many folder including “default, Guest, Public”. The folder name other then these will be your computer name. For simple way, go to search bar and look for startup folder. You may find many folders named as startup. Just open every folder and paste vbs file in one which is a sub-folder of “program< Start Menu<Windows” directory. And finally you had done ! Restart Your Computer to welcome you for first time. Please Share To Appreciate our Work !